In order to simplify the act of payments online, Amazon has launched a new service for its Indian users called ‘Pay with Amazon’, although users will still have to key in their OTP to verify the purchase. Users will now be able to skip the step of entering their details on third party sites which support the service. 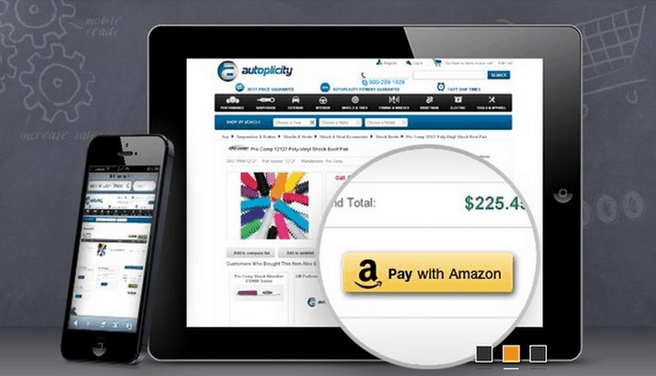 ‘Pay with Amazon’ has been made live in India and that the ecommerce company has collaborated with Shopyourworld.com and Fommy.co.in. Babyoye.com, Cart2india.com, Wemallindia.com, Sapnaonline.com and Mebelkart.com, which will soon offer the service as well. The service was launched by Amazon in the US around 1 year ago. Amazon’s main objective behind launching this service was to provide a trusted payment bridge between customers and sellers and further aid and support the growth and integration of small and medium businesses in the new digital economy. Customers who will choose this option will use the convenient, easy and trusted Amazon checkout process secure in the knowledge that their purchase is protected by Amazon’s Buyer protection program.